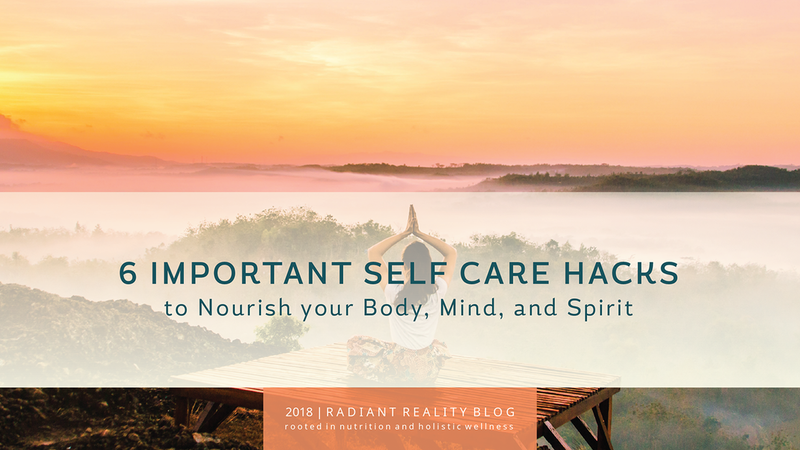 6 Important Self Care Hacks to Nourish your Body, Mind, and Spirit - Radiant Reality | Nutrition. Healing Arts. Inspired Living. What does it mean to care for yourself? Eating right to feed your body, not your cravings. What I find is that my personal versions of self care change, sometimes daily, and if I don’t take time to check in with myself and evaluate where my needs are, I loose touch with my body and my mind...that is until I neglect myself to the point where I am forced to take inventory. 1. First and Foremost: Create a self care routine. A routine will enable a action to become ingrained into your reality. This is not something to occasionally make time for, but rather its an essential foundational piece of your day. In my house all my kids have some form of self care routine established. For example my teenage son is committed to taking a bath nightly. This is an absolute priority for him for at the end of a long day it helps him find respite in a world of constant stimuli. Find something healthy that promotes peace and calm and STICK with it. Set a goal if you need to and write it on the calendar to do so, but prioritize your self care time, like you would an appointment. The first step is often the hardest one, but if you stick with it, your life will reflect the difference it makes. 2. Begin your day with a ritual check in - without electronics! Start your morning without your phone. Have a cup of tea or coffee without anyone or anything else asking for your energy. Take time at the start of the day to write out your thoughts and goals for the day. Yes this may require waking up before everyone else, but I guarantee it will be worth it. If you are a goal setter and a planner like me, you may enjoy working in a book highly recommended by productivity guru Tim Ferris called a “Productivity Planner.” Based on the Pomodoro Technique, this little book helps the mind organize and plan productivity in a very simple and concise manner. 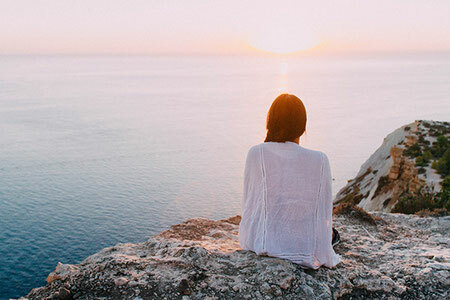 If you have ever sat a Vipassana meditation or any meditation retreat that takes place over a course of days, you can attest to the blissful inner calm that results. Taking time each day to quiet the mind is a must if you give to others and studies show that this pays off in all aspects of your life. If you don’t have experience with meditation, you can start with something as easy as listening to Tara Brachs “2010 Smile Meditation” first thing in the morning. This is a guaranteed method designed to nourish your inner Buddha. Laughter is a powerful antidote to stress, conflict and pain. Watch a funny movie, listen to a humorous podcast or practice laughter yoga. Anything that stimulates laughter will boost your immune function and reduces the stress hormone cortisol in your body. Can you wake up in the morning and name five things you are thankful for? Even if only for the fact that you have a body. Take inventory on your life and give thanks. Gratitude upgrades your hormones from oxytocin to cortisol and feeds your neurotransmitters including dopamine and serotonin. There are many ways to give back. Seva is a sanskrit word that means selfless service. Find your personal form of Seva. It can take any form and may be as simple as a smile. Giving to others in any way shape or form is a beautiful way to live and give back to life. For some, self care is a priority, for others it is the last thing on your “to do” list. I challenge you to find new ways to practice self care and see if it makes your day brighter and lighter.